If you’re a fan of Singapore Airlines miles like me, you’re going to want to hear this. Via Monkey Miles, Singapore Airlines is making some (mostly negative) changes to their partner award chart on December 7, 2017. From that date, you’ll (finally!) be able to book partner award flights online. But many of those partner awards are getting MUCH more expensive. I’ll give you the details of these changes. 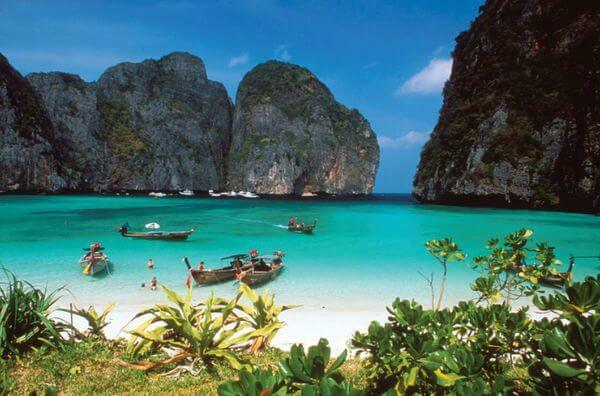 Use Singapore Airlines Miles to Fly Nearly Anywhere in the World, Like Thailand! Singapore Airlines is a member of Star Alliance. Which means you can use your miles to fly just about anywhere in the world by booking with partner airlines! But Singapore Airlines is making several changes to its program. And depending on where you’re going, you may be spending a LOT more miles. Here are the changes you should prepare for! As you can see, most of these new prices are for Business and First Class seats. If you aren’t concerned about flying fancy, you probably won’t notice the changes. The silver lining is that Singapore Airlines is a transfer partner of all 4 major flexible points programs. So it’s really easy to collect miles quickly! If you collect Chase Ultimate Rewards points, AMEX Membership Rewards points, Citi ThankYou points, or Starwood points, you can transfer points to Singapore Airlines. Despite the increasing award prices, our favorite use for Singapore Airlines miles remains untouched! 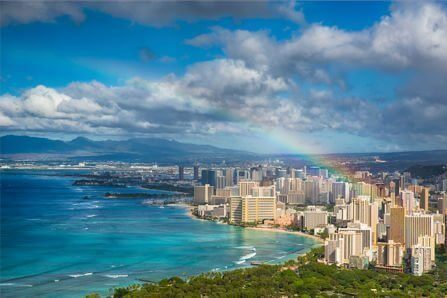 You can still use Singapore Airlines miles to fly to Hawaii for extra cheap! When you book a United Airlines flight to Hawaii with Singapore Airlines miles, you’ll pay just 17,500 miles one-way in coach. That’s an incredible deal, and 10,000 miles less than United Airlines charges. Booking partner award flights with Singapore Airlines miles was always a bit of a pain, because you had to call Singapore Airlines to reserve your seat. Starting December 7, 2017, you’ll be able to do this online, which will make the process much smoother. Singapore Airlines will begin charging a $25 fee (or 2,500 miles) if you call the airline instead of booking online. But that fee will be waived if the award can NOT be booked online. That’s a standard procedure with most airlines. Singapore Airlines is making a lot of changes on December 7, 2017! They’re finally letting folks book partner awards online (yay!). But they’re also raising the price of many partner award seats, mostly in Business and First Class. So if you like to use Singapore Airlines miles to book fancy seats, you should do it BEFORE December 7, 2017! Nobody likes when award prices go up. But no deals stick around forever in the world of miles & points! That’s why I suggest you use miles as often as possible! Because they may not be worth as much tomorrow. Will the increase apply to SQ’s own metal? or just partner’s? Thanks! But there’s no word on them increasing the Alaska award prices? The 12K West Coast to Hawaii is a steal. Also the 9.5k West Coast to the Midwest, including Texas is pretty good. I hope they stay intact. I was concerned about that, as well! But this seems to be ONLY a change to Star Alliance partners. I was wondering the same thing. Any idea regarding Alaska Bookings online?